The government said there were separate verdicts by the high courts of Delhi, Bombay, Punjab and Haryana on the issue and the apex court had also passed different orders on appeals filed against those judgements. The Supreme Court today allowed the Centre to go ahead with reservation in promotion for employees belonging to the SC and ST category in "accordance with law". The top court took into account the Centre's submissions that the entire process of promotion has come to a standstill due to the orders passed by various high courts and the apex court had also ordered for status quo in a similar matter in 2015. The government said there were separate verdicts by the high courts of Delhi, Bombay, Punjab and Haryana on the issue and the apex court had also passed different orders on appeals filed against those judgements. "We will say you (Centre) can go ahead with promotion in accordance with law," a vacation bench comprising Justices Adarsh Kumar Goel and Ashok Bhushan told Additional Solicitor General (ASG) Maninder Singh, representing the Centre. During the hearing, the ASG cited the case laws on the issue of quota in promotion in government jobs and stated that the apex court's 2006 judgement in M Nagaraj case would be applicable. The M Nagaraj verdict had said that creamy layer concept cannot be applied to the Scheduled Castes and Scheduled Tribes for promotions in government jobs like two earlier verdicts - one in 1992 of Indira Sawhney and others versus Union of India (popularly known as the Mandal Commission verdict) and the other in 2005 of EV Chinnaiah versus State of Andhra Pradesh, which dealt with creamy layer in Other Backward Classes category. 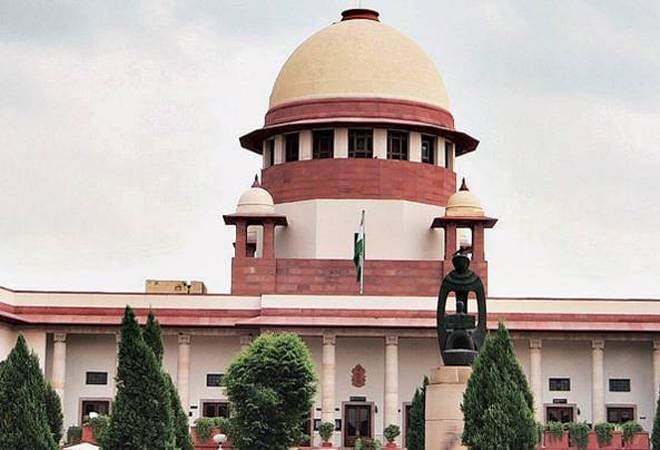 Singh said the petition before the bench was the Centre's challenge to the Delhi High Court's verdict on August 23 last year that quashed the government's order extending reservation in promotion to employees belonging to the SC and ST beyond five years from November 16, 1992. At the outset, the ASG referred to orders passed by the apex court earlier, including a reference made to a five-judge constitution bench, and contended that one of the orders says there would be 'status quo' as far as reservation in promotion to SC/SC employees was concerned. He referred to a May 17 order passed by a bench headed by Justice Kurian Joseph in a similar matter in which it was said that pendency of petition before it shall not stand in the way of the Centre taking steps for the purpose of promotion. "How the promotion is taking place as of now?," the bench asked. Responding to the query, the ASG said, "They are not. It is all standstill. This is the problem". "I am the government and I want to give promotion as per constitutional mandate," he told the bench and urged that he was seeking a similar order as passed on May 17. He said that another bench of the apex court had earlier said that a five-judge constitution bench would examine the issue as to whether the M Nagaraj judgement, which dealt with the issue of application of the 'creamy layer' for reservation to SC and ST categories in promotion in government jobs, was required to be re-looked at or not. He also referred to Article 16 (4A) of the Constitution, which enables state to provide for reservation in matters of promotion to SC/ST which in its opinion were not adequately represented in the services. "That is the enabling provision," the bench observed. It said that as per Article 16 (4A), state would have to make out a case for providing reservation in promotion to SC/ST based on quantifiable data. The provision also says that the data should be based on factors like backwardness, inadequacy of representation and overall efficiency. The bench has tagged the Centre's appeal with pending matters. Earlier on November 15 last year, a three-judge bench of the apex court had agreed to consider whether its 11-year-old judgement in M Nagaraj case was needed to be re-visited. The top court had referred the matter to a constitution bench while it was hearing a batch of petition which arose from a Bombay High Court verdict quashing two state government notifications terming them as ultra vires to Article 16(4A) of the Constitution. The Delhi High Court, in its August 23 last year verdict, had set aside an August 1997 office memorandum issued by the Department of Personnel and Training (DoPT) on the issue of reservation in promotion to the employees belonging to SC/ST. The high court had also restrained the Centre from granting reservation in promotion without first collecting the data on inadequate representation. The nine-judge bench of Supreme Court had, in the Indira Sawhney case in 1992, permitted reservation for the SCs and STs in promotion to continue for a period of five years from November 16, 1992.